Never fail another OSHA inspection! If you fail an OSHA inspection, it could result in large fines, and your business could be shut down immediately! You can avoid this by contracting with Occupational Safety Solutions to come out before your OSHA inspection for what is known as a "mock" inspection. Our certified OSHA inspector will perform the same inspection as OSHA does, without the penalties or risk. We will prepare a report that has each and every item that you need to correct so that you will be OSHA compliant. This will save you a lot of money and potential loss from service interruption and hazards. Call today to schedule your OSHA Mock Inspection. We are a security guard company and one of our clients wants a mock OSHA inspection. 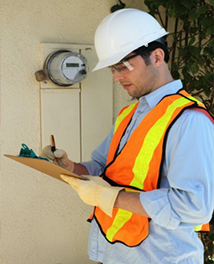 Do you do these types of inspections? If so, what are your qualifications and what would the cost be? Please let me know, if not, maybe you can direct me to someone that does.